It was another great weekend of Bowls at the Pacific Indoor Bowls Club as it was one of the highlights of the Indoor Series as it was an International Qualifier and the chance to represent British Columbia in the UK was on the line. 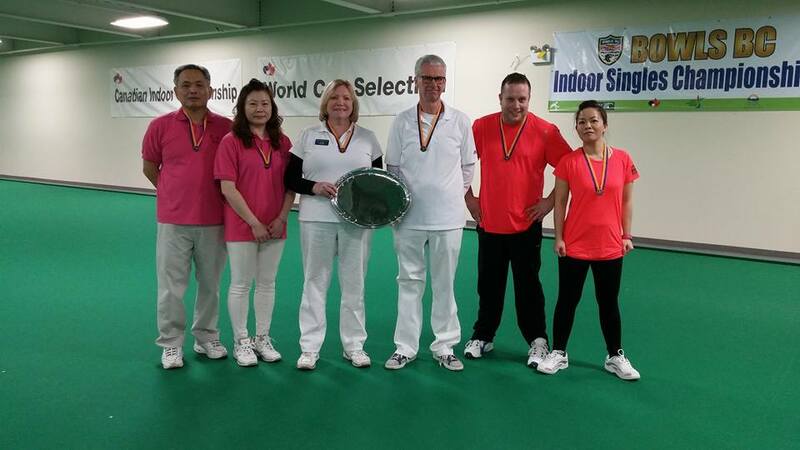 In total there were 17 Teams that fought it out to win the spot to head overseas and Lynn Coules (West Van LBC) & Ed Logan (New West LBC) teamed up to edge out the field and win the first annual BC Indoor Mixed Pairs Championship. Some great Bowls were played all weekend long and the playoffs were no different as the field was dropped down to the final 8 in a straight knockout elimination. Coules and Logan would make it through unscathed with only dropping one set to World Champion Shirley Lai and Francis Yau in the Quarter Finals. The Gold Medal Match saw Coules/Logan vs two experienced Bowlers in Jamie MacGowan and Vanessa Siu. After an one sided affair in the first set the Teams settled in to for some great bowls in the second set as it came down to the final bowl as Coules would make a brilliant draw to seal the deal and book their spot to the UK. Bronze Medal action had Richard Yau and Linda Ng taking on Stephen and Robin Forrest that saw Yau/Ng take home the Bronze Medal. It was a great to see so many new players on the carpet and the PIBC alive with action, spectators and interested people learning about the Sport of Lawn Bowls. Congratulations to all the participants and a big thank you to George Cubiss and his Team of Officials that were on site throughout the weekend to Officiate the tournament.